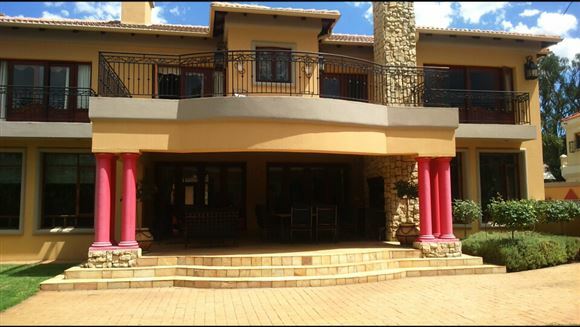 The amazing double storey residence offers 4 bedrooms,3.5 bathrooms,study,formal lounge and dining room.TV room Massive kitchen,and Large entertainment area and many more. Outside find a lovely large garden and sparkling blue pool in the most fantastic settings. THIS IS A MUST SEE.